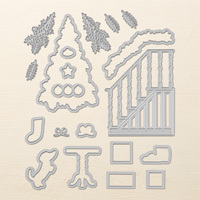 Ready For Christmas Photopolymer Stamp Set | Holidays | Stampin Up! Create a beautiful home around this excited little dog. Everyone can relate to him, right?